Indian culture is very diverse. From 22 languages and a variety of different beliefs, all the way to a multitude of cuisines – India really is a country that will leave you in disbelief. India is the 2nd most populated country in the world. Currently situated with 1.281 billion people. To put its population into perspective, India is sitting 2nd on the leaderboard behind China, who has a population of 1.37 billion people. Although there doesn’t seem to be much difference between totals, it’s important to remember that China is 3 times the size of India. There are 440 people per square mile in India and only 141 per square mile in China. So, as you can imagine, this country is pretty darn busy! India is a country suffering under the unfortunate hands of poverty. Meaning that every day, the average Indian works purely to survive. They work to feed their families, to potentially have a roof over their head and to live a happy and valuable life. The monthly wage for the average working citizen in India is $295 a month. My privilege means that this lifestyle is one that I can’t comprehend, but that’s reality for them. Despite all odds, the locals I encountered during my time in this beautiful country were nothing but kind and incredibly hard working. Around 80% of Indians are Hindu; 14% Islamic, and 6% classified as other (Christian, Sikh, Buddhism etc). 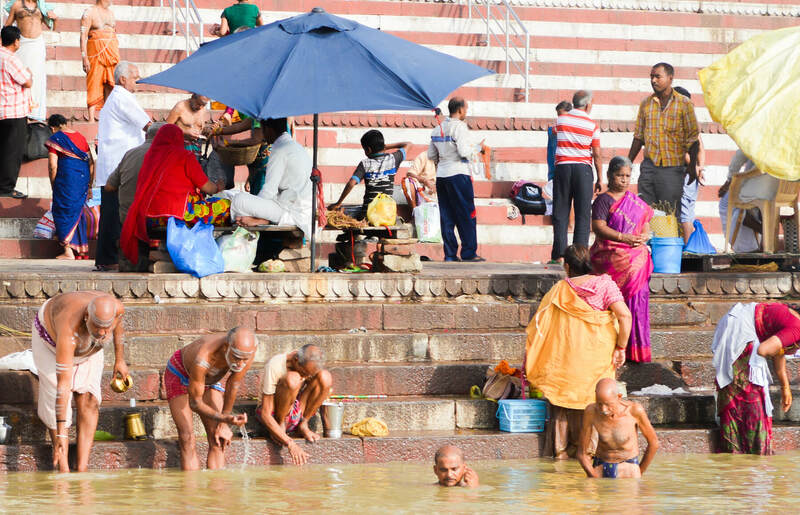 For the majority of citizens, Indian culture relies heavily on spirituality. For those who are Hindu, their religion is based on the concept that human and animal spirits come back to earth to live in many different forms. They believe that hierarchy is dependent on their behaviour as a human being, as well as in their past life. 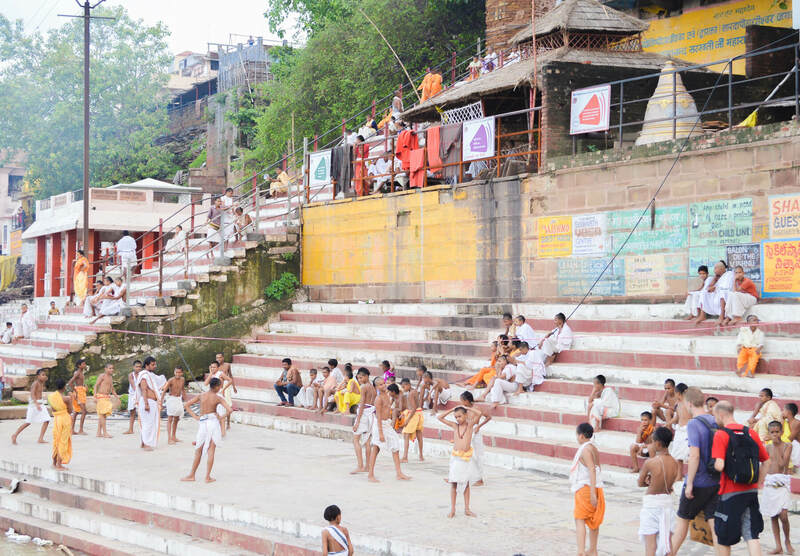 They believe in an array of different gods and worship them on a daily basis in the comfort of their own home, in temples and in sacred locations such as the Ganges River, in Varanasi. Along with Hinduism, India was the birthplace of 3 other major religions – Sikhism, Jainism and Buddhism – making it one of the most spiritual locations on earth. FUN FACT: India is one of the most culturally, linguistically, religiously and ethnically diverse countries in the world! Traditional Indian food is very dependent on the location. The cuisine is generally differentiated between Northern India and Southern India. Both of which are appreciated for the use of a huge variety of herbs and spices. The food in the North involves a lot of bread – Naan, Roti, Samosas etc. The curries that are very significant in the area are Palak Paneer, Pilau Rice and Dum Aloo. 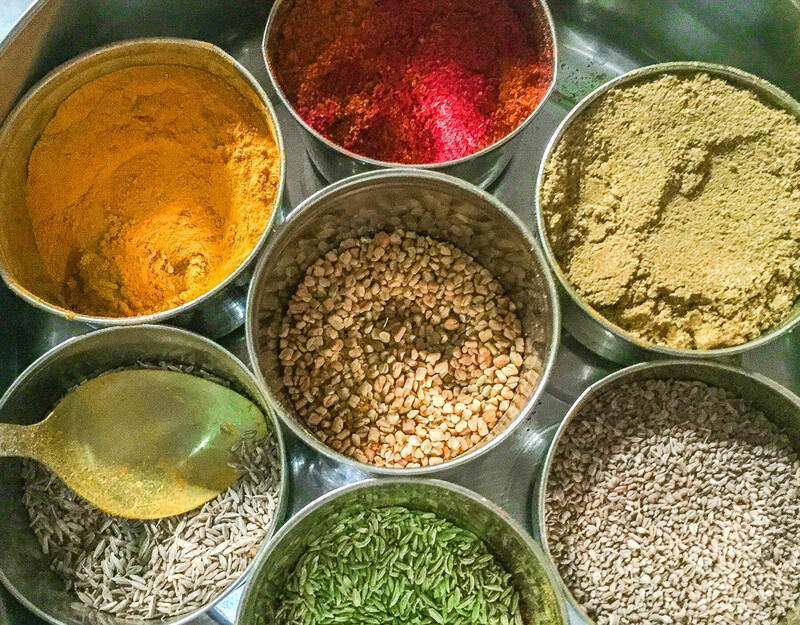 Unlike in the north, the cuisine in Southern India is based on lentils, rice and stews. Dosa, Biryani, Uttappam and Rasam are just a few of the popular dishes. FUN FACT: India has the world’s largest number of vegetarians. Once again, the drinks you’ll find in India really do depend on the location. 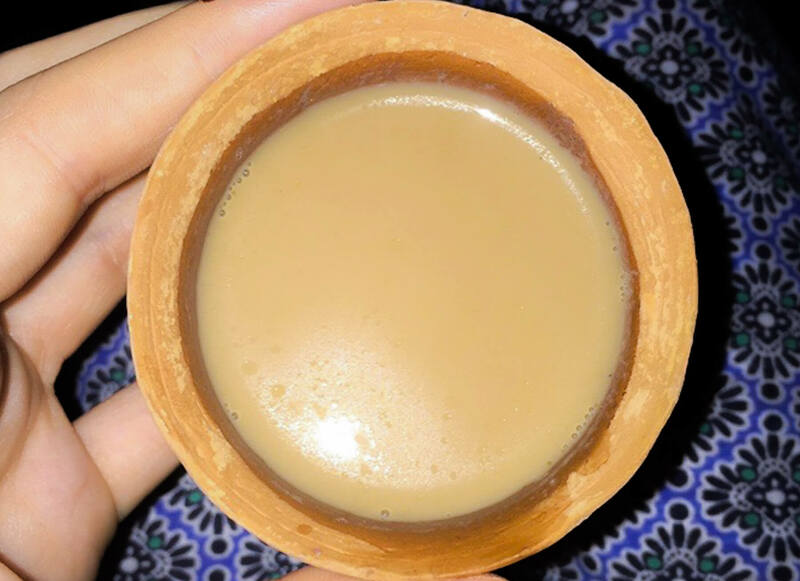 There are a few different options from traditional Chai Tea (pictured above), Lassis in a variety of flavours, Jal Jeera, Coffee, and an array of different juices and milk-based beverages. Most of which are very sweet, and full of spices too. Clothing is very bright and colourful, which only adds to the rich Indian culture. For women, the clothing is generally Saris and other wrapping garments – Salwar Kameez, long skirts and blouses. The “dress code” is very modest, but very beautiful with an array of incredible patterns. For men, the clothing consists of Sherwanis, Bandhgalas, Lungis and Kurtas (aka. Long sleeved blouse, loose pants or wrap-around sarong). Often in everyday life, men are seen wearing more westernised clothing too. The education system in India generally consists of the 10+2+3 pattern (10 years in school, 2 years in college and 3 years in bachelor degrees). Like in most countries, the schooling system involves both public and private education; with the amount of each being a ratio of 7:5. Under the Indian Constitution, education is a free and compulsory right to all children between the age of 6-14. Although there has been a great deal of progress with attendance rates in India, the education system is something that often has a lot of struggles. There are 1.4 million 6 to 11-year-olds not attending school across the country. There is a shortage of 689,000 teachers in Primary education, and only 53% of over 1 million Indian Schools have a functional women’s toilet. Along with that, the rate of female attendance in comparison to male is far lower. Women’s rights in India are not of the highest standards, which inflicts on the education system and women’s literacy rates too. Undoubtedly, the attendance rate and overall schooling system is something that’s a constant and working progress. India has 22 official languages, 2000 dialects and over 1000 unofficial indigenous languages – Crazy I know. Although, with up to 40% of the population able to speak Hindi, it is definitely the dominant language. The other 21 languages withhold less than 10% of the population. The Hindi language is primarily spoken in the northern area of the country, and not many locals are able to speak English. 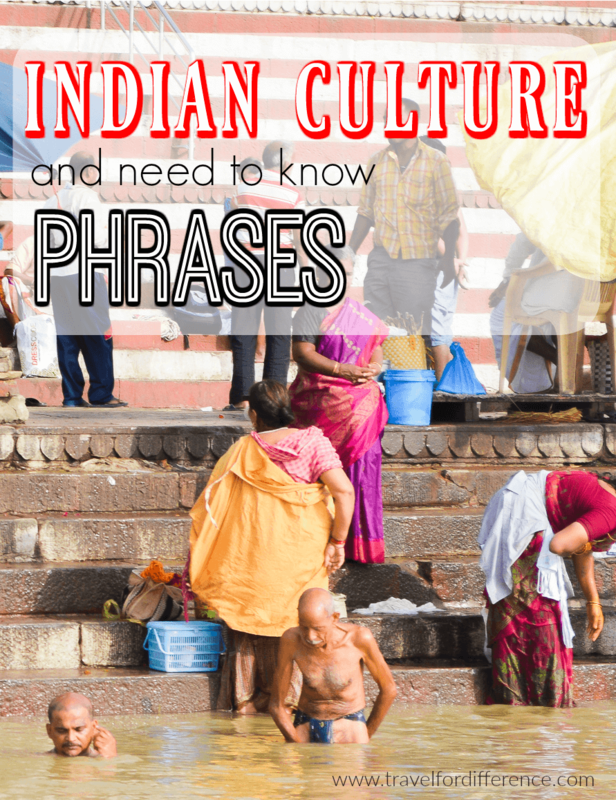 So, if you’re planning on visiting the Taj Mahal or the ‘Golden Triangle’, here are a few Hindi Phrases that might help you along the way. Such a useful post, should have read it before I went to India this Christmas!